Last last Friday my fiancé went to a magic tournament with his friends (read: geek gathering), and some of the wifes decided to get together and sew at the host’s house. I had hosted three sewing parties (aka. juebejue-forces-friends-to-sew-party) at my place, and it was nice going to someone else for a change! Sadly, all my sewing stuff was packed away in my bathroom, so I only had the sewing machine that i packed into the trunk of my car “just in case I really need to sew” before the remodel started. 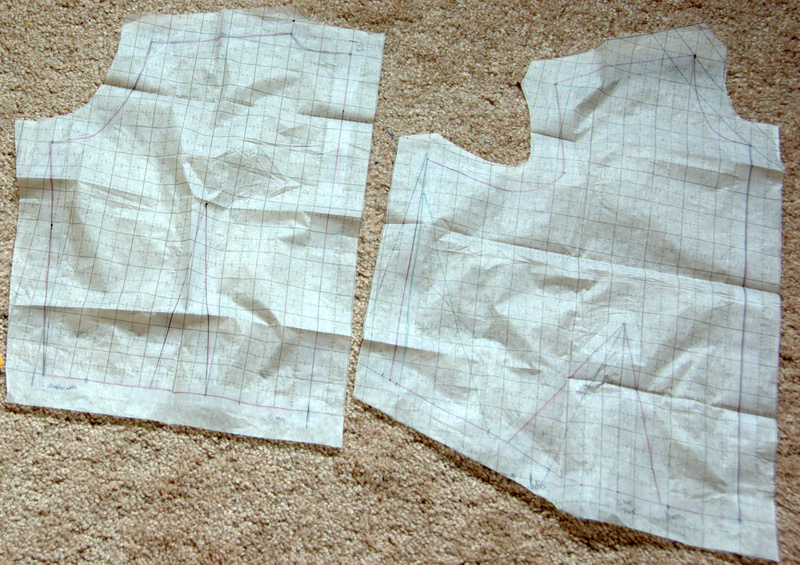 I was able to dig out my pattern book, and with lots of materials “borrowed” from my friend Andi, I got started with drafting myself a bodice pattern! 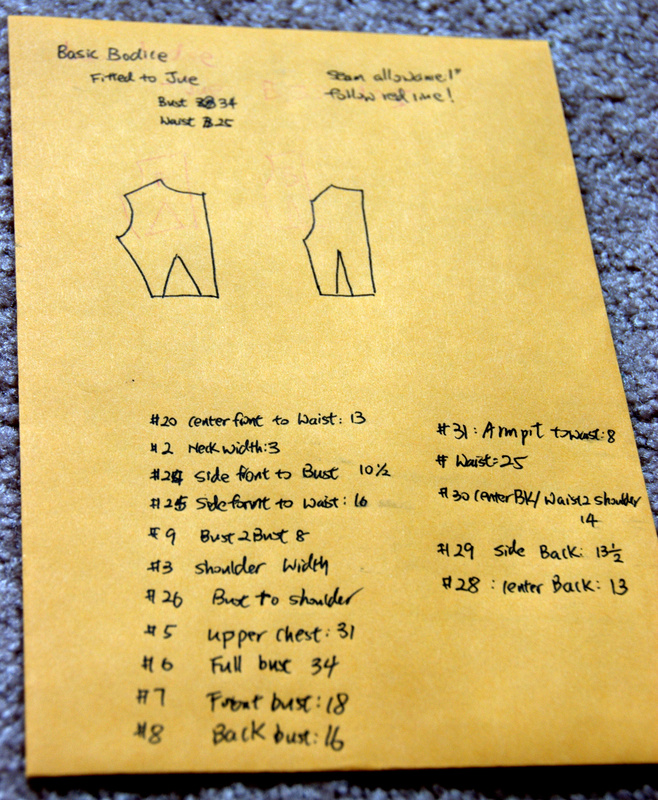 Drafting the bodice pattern was considerably harder than the skirt. For starters, I think the woman they used in the book has a very different back shape than I do. Hers bulges out, while mine caves in. I might have also measured my shoulder width from a wrong point (I think the right points to use is the joint you feel when you put your hand on top of your shoulder and move the arm around, where you normally want your sleeves to begin). After much measuring, drawing, confusing, swearing, re-measuring, erasing, drawing, and then sewing and fitting, I think I have a decent bodice. Anyone finished drafting a bodice for themselves? How did you like it? This entry was posted on Sunday, April 4th, 2010 at 6:30 pm	and tagged with bodice, draft, pattern and posted in patterns, sewing. You can follow any responses to this entry through the RSS 2.0 feed. « Petite Republic Giveaway – Choir Girl Dress! Haha..what is this bodice for? favor of his web page, as here every data is quality based data.